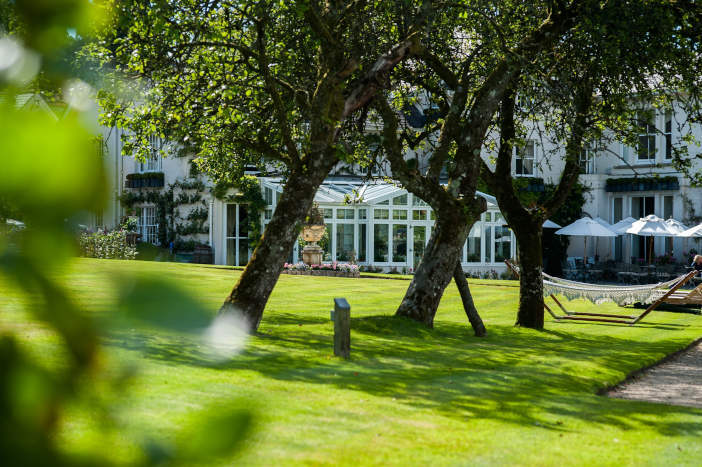 Summer Lodge Country House Hotel’s luxury Spa retreat in Dorset, nestled within the quintessential English village of Evershot, is just what a weary rambler and explorer needs on a well-earned break from the city. Before embarking on any major adventures, I decided to take a day out to do absolutely nothing. Leaving the well equipped gym and tennis court aside, along with the option to arrange a personal trainer in favour of a relaxing swim in the heated pool followed by a full body aromatherapy massage, my therapist Sophie consulted as to my health and needs prior to the treatment, opting for a heady rose geranium oil to target tired muscles and everyday stresses. 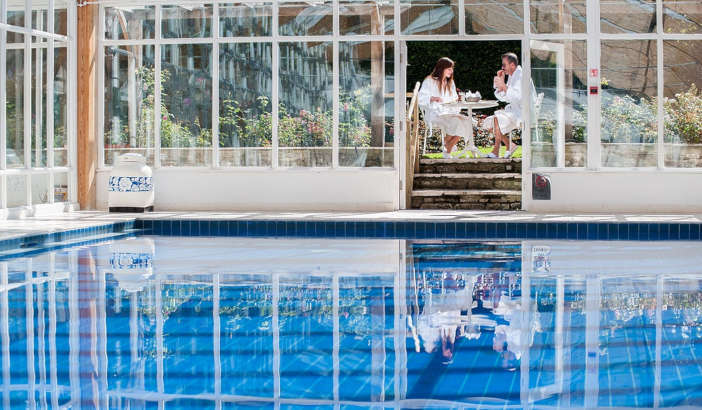 With just two treatment rooms guests are advised to book at the time of their reservation, and it really was a highlight of my stay at Summer Lodge, a Red Carnation five star hotel and member of Relais and Chateaux. Lulled by Thai-style spa music, low lighting and a heated therapy bed, Sophie adopted a gentle pressure upon my request, beginning with my tense, knotted back before working on my limbs and finishing with my neck and décolletage to leave me thoroughly calm and revitalised. That, and a little sleepy. Although this small spa doesn’t have a relaxation room, garden sun loungers and plenty of outdoor seating areas allow guests to soak up some vitamin D during the warmer months, while the indoor pool and jacuzzi, housed within a handsome stand-alone conservatory offers a glamorous, light-filled relaxation space whatever the weather. Hotel residents have access to the spa and facilities for the duration of their stay, while Summer Lodge Spa also offers several half and full day packages that are ideal for celebrations or mother and daughter time such as the ‘Toe to Toe’ option including a full body exfoliation, a 25-minute Elemis facial, a file and paint for hands or feet, tea and coffee on arrival, a two-course lunch in the 3 AA Rosette fine dining restaurant followed by an afternoon Dorset cream tea in the genteel drawing room. What better way to pamper your mum on Mother’s Day or for her birthday? From scientifically researched Elemis anti-aging therapies, soothing pregnancy massages, specific holistic treatments such as Reiki, reflexology or a Hopi ear candling facial drainage massage designed to clear the inner ear and sinuses, to finishing touches such as St. Tropez spray tanning or a Delilah make up lesson for special occasions or the bride to be, you’ll be a new you in no time. Nor are the chaps left out of Summer Lodge’s pampering rituals, with the Elemis High Performance Skin Energiser, a tailored grooming treatment exclusively designed for men. 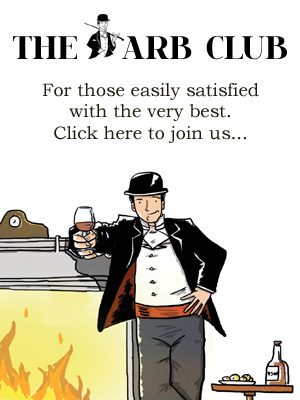 Gentlemen might also like to follow their treatment with a tipple in the Georgian mansion’s connoisseur-lovers Whisky Bar with its fine selection of single malts and Armagnacs, or enjoy a pint at Red Carnation’s sister Eversham property, the historic Acorn Hill just a short stroll down the charming high street. Whether your preference is country elegance or rustic charm, Summer Lodge has everything on hand for the ultimate Dorset recharge. 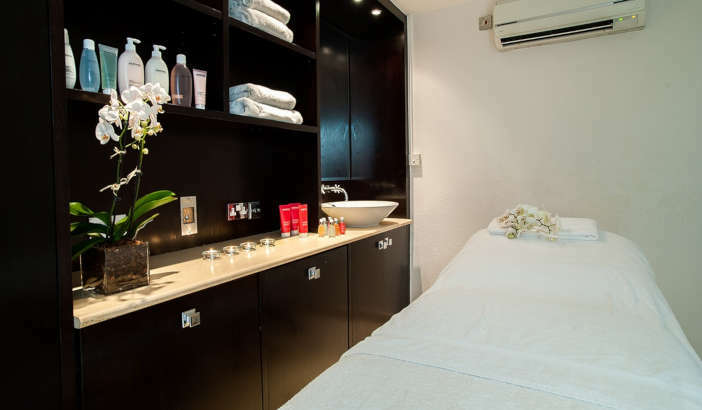 Summer Lodge Spa, 9 Fore Street, Evershot, Dorset, DT2 0JR. For more information and reservations please visit the website.